Finding it Hard to Let Go of Clutter? Creating a vision for your life is the first step in order to let go of clutter. 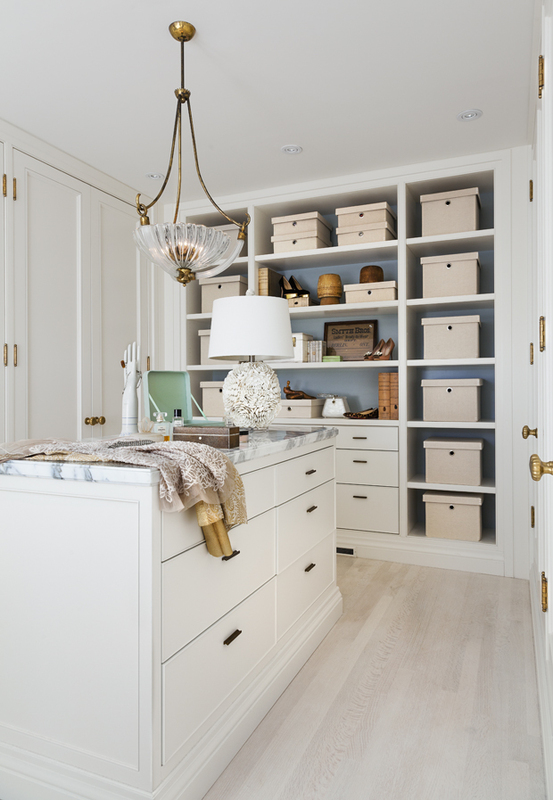 Get these practical tips for organizing your space. Over the weekend, I was visiting my husband’s aunt and noticed she had a large stack of boxes and bags in her mudroom filled with items she wanted to donate. For the past few weeks, she’s been going through each room with a fine tooth comb, culling the stuff she felt she no longer felt a need for and was taking up unnecessary space in her home. I have to say I was a bit surprised at the change since she has always been someone who liked to hang onto stuff “just in case” or for the sentimental value. After talking with her for a bit, I realized she was at a point in her life when she was ready to downsize and start a new chapter. Her sudden urge to let go of stuff started to make sense to me. I think most of us get to a point when we’re ready to let go of the stuff that causes clutter. I know I’ve done several large purges in my life (especially before moving or during a renovation), as well as smaller ones every couple of months. It’s something I’ve built in as part of my regular cleaning and maintenance routine, and I find it comes quite naturally to me (with most items). However, I know in working with some people on organizing projects, just the thought of getting rid of anything causes anxiety. They’ve formed some sort of attachment to stuff, and breaking that cycle can be very challenging. If your heart starts beating a little faster when you think about cleaning out your closet, the basement or the garage, you’re probably someone who has a clutter problem (big or small). You may not be willing to admit it, but rather than feeling like you’re in charge of your stuff, you’re probably feeling as though your stuff is in charge of you. Chances are, your clutter is leading to feelings of guilt, procrastination and fear. Intellectually you know it’s time to address the issue, but you’re feeling stuck. In most cases, clutter is the result of not having clarity or being indecisive. One of the best places to start is to create a vision for your life. The answers to each of these will help you determine which items bring you energy (align with your life vision) and which items drain your energy (hold you back from achieving your life vision). 1) Ask yourself- Is it beautiful? Is it useful? Do I love it? If you’re unable to answer yes to at least two of these questions then it’s time to let go of the item. 2) Focus on one space or room at a time and give yourself a deadline to complete it. Break up larger projects into increments and check off as you finish each one. 3) De-cluttering becomes easier the more you put it into practice (just like a muscle). 4) Remember that your clutter is preventing you from living the life you want to live. Read over your life vision whenever you feel like you’re digressing. 5) Ask for help- a friend, outside family member or professional can provide an unbiased opinion or support. 6) Think logically- Could this item enrich someone else’s life more (or should I keep it for another 5 years in a box in the basement)? Today I dropped a huge load of my husband’s aunt’s stuff off at our local mission store. She was so happy to see me load it up, and I could tell she felt a big weight lift off her shoulders as I pulled away. I was glad I could help out, and I have a satisfying feeling knowing she’s that much closer to the vision she has for the next chapter of her life. Do you feel like your clutter is holding you back? What do you perceive as being your biggest challenge when dealing with your stuff? Great article Shauna! These ones always strike a chord with me and I am getting better :) !! I have pinned this one. Have a great day! I’m off with another truck full! It always amazes me how much stuff we accumulate even after we’re careful about what comes into the house. I make at least one trip a month to donate stuff. Today I’m dropping off clothing and shoes at the consignment store. Feels good to get the closet cleaned out! I feel like my clutter areas are staring me in the face and saying ‘the longer you leave us here, the longer we stay.’ It’s biting the bullet and taking the time to sort through everything. The hard part is the decision and commitment to do it. Sometimes it’s opening a larger can of worms we really didn’t expect! “Is it beautiful? Is it useful? Do I love it?” Love those questions. Nice to quest to have more beauty around us, even (especially) in the day to day useful things. Such good tips! I love to get rid of clutter and still need to do more. SO GREAT!!! I actually make donating stuff a weekly habit. While my daughter is in dance class, I am a short drive away from our local donation drop off and I find by keeping it weekly, I never feel overwhelmed and most things don’t get out of hand. My kids grow out of stuff so fast that there is always something that could go. I try to do the same. We have a local mission store that I drop stuff off at (and buy a little at) every other week or so. Makes it less overwhelming for sure! I’ve been going though stuff here too this weekend, I think it’s because it’s been raining so hard outside that I’m cleaning inside. Whatever we haven’t used in the past year goes (or if we don’t have plans for it either)!! Thanks for your tips! Super tips! I have found many times that people become owned by their stuff… I think we underestimate the relief and pleasue we can get when we let go and pass things on to someone that can make use of them! This is perfect timing for me, Shauna! 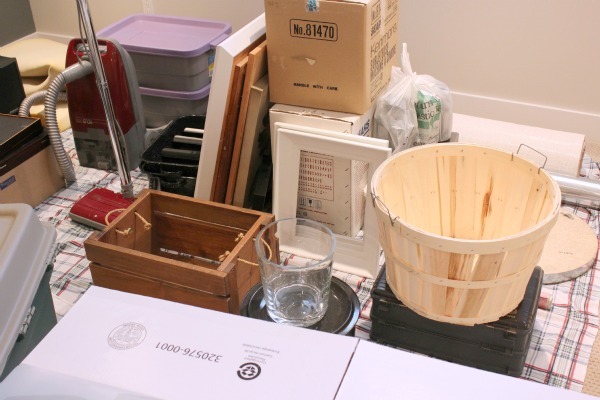 We’ve just listed our house on the market, and the decluttering is happening right now! There is so much stuff that has left the house (only to end up at my ILs’ house), but we need to really make a big purge before that stuff re-enters our lives. I’m sure we’ll find that we don’t miss most of it. Good luck with the sale. I find moving is always a good motivator to purge!